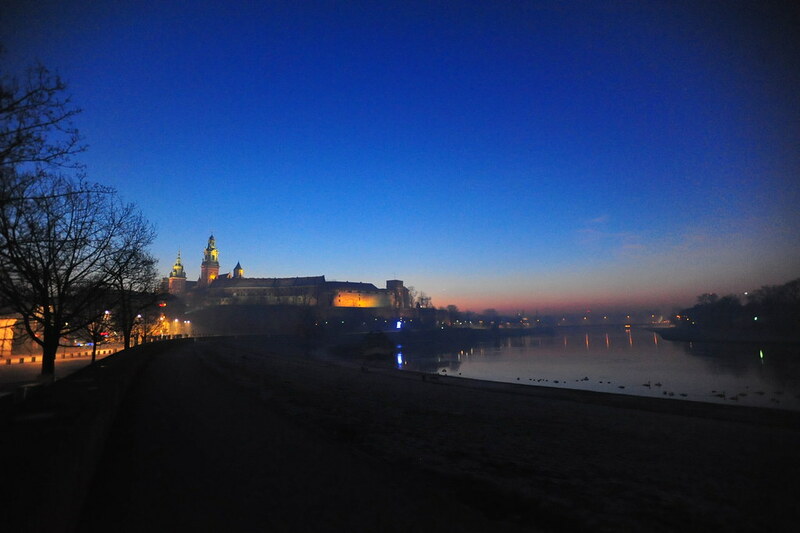 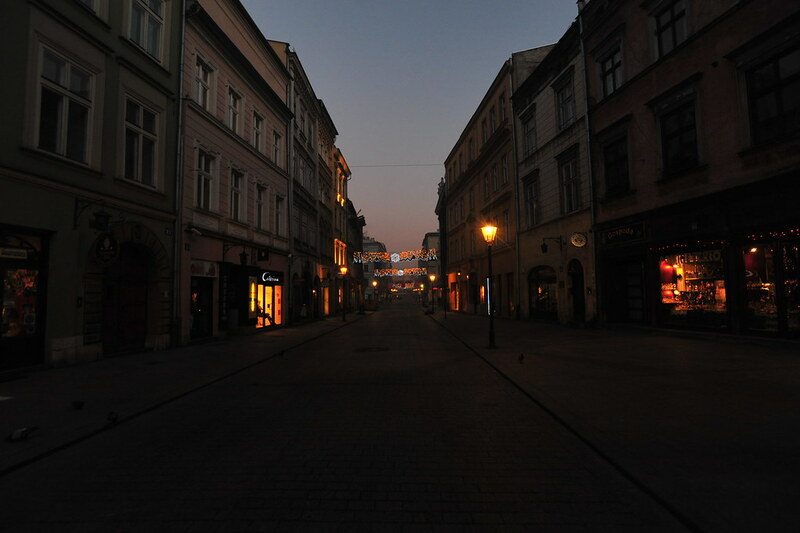 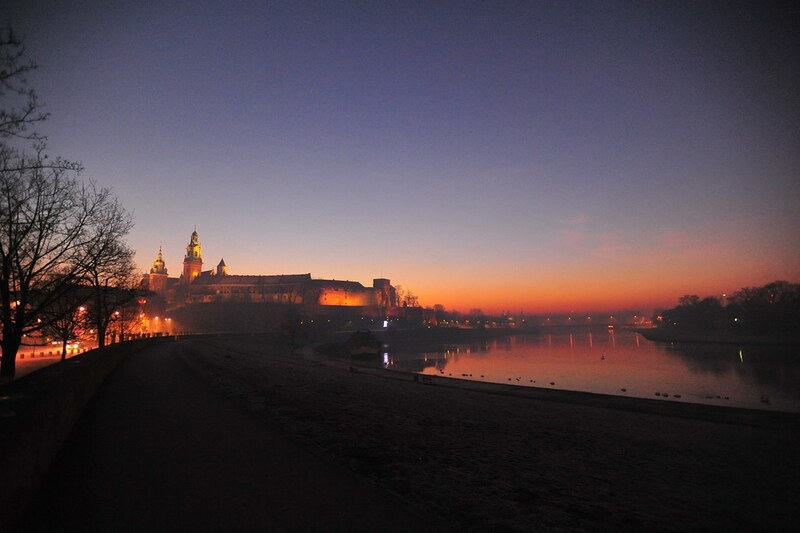 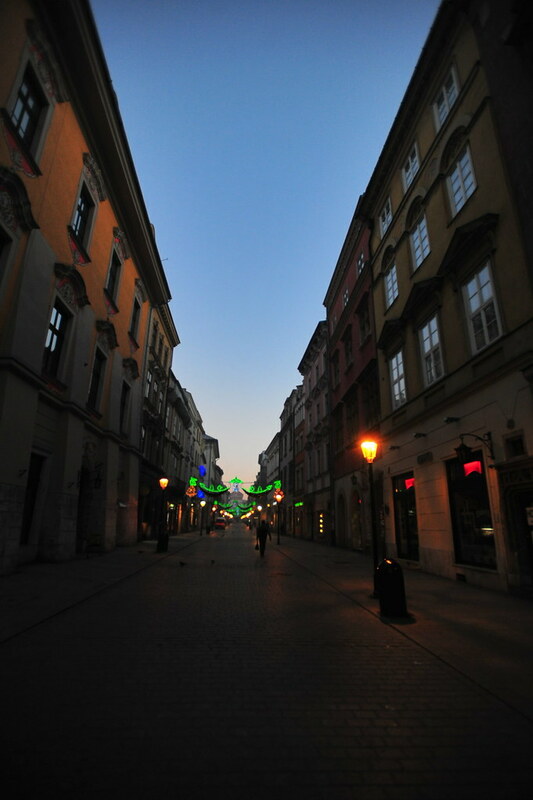 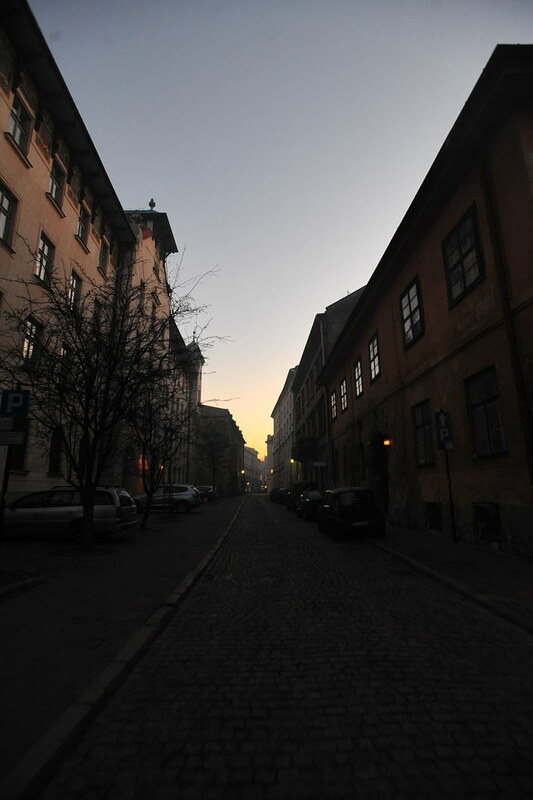 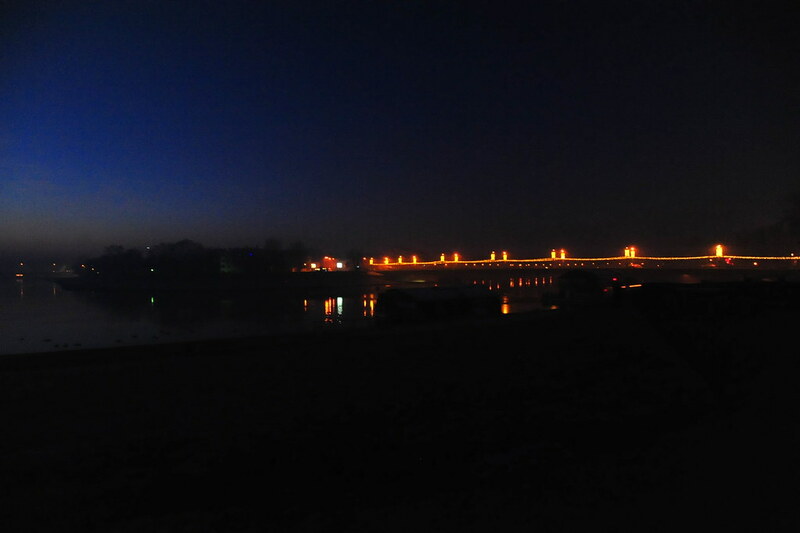 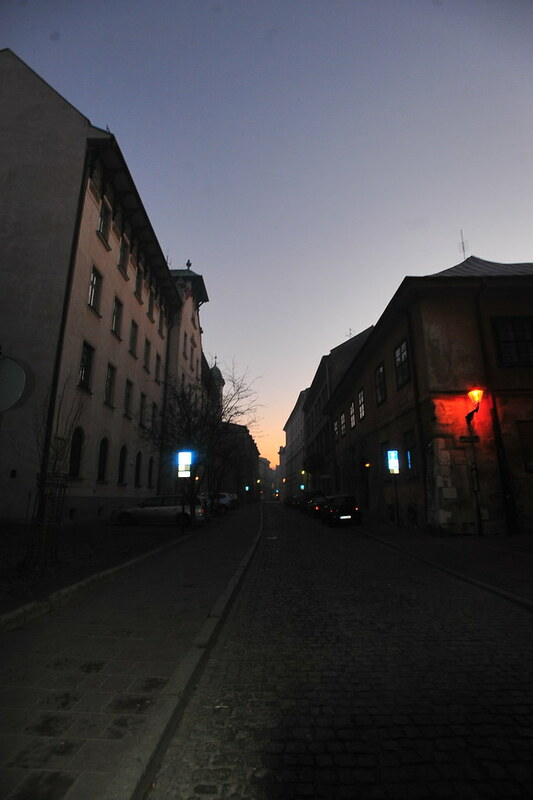 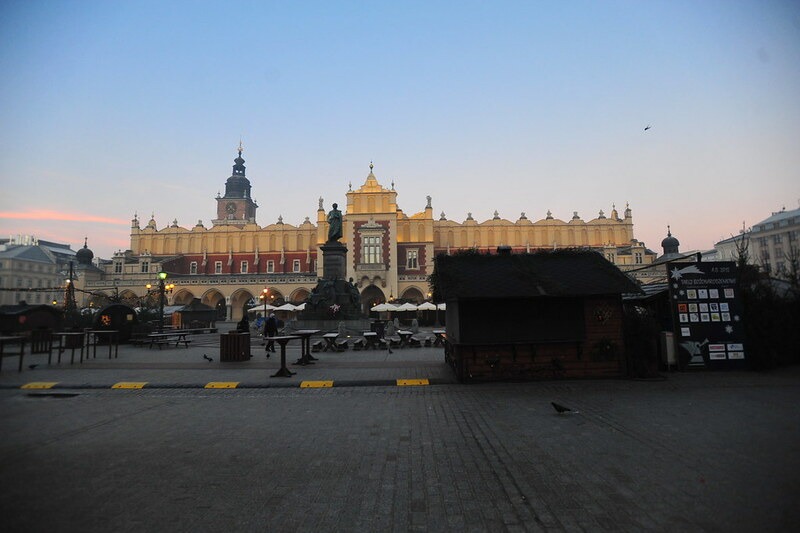 After crossing the Polish border, we arrived in Krakow in the wee hours of 7am (this is 3 hours before everyone in Poland wakes up), just in time to catch the sunrise. 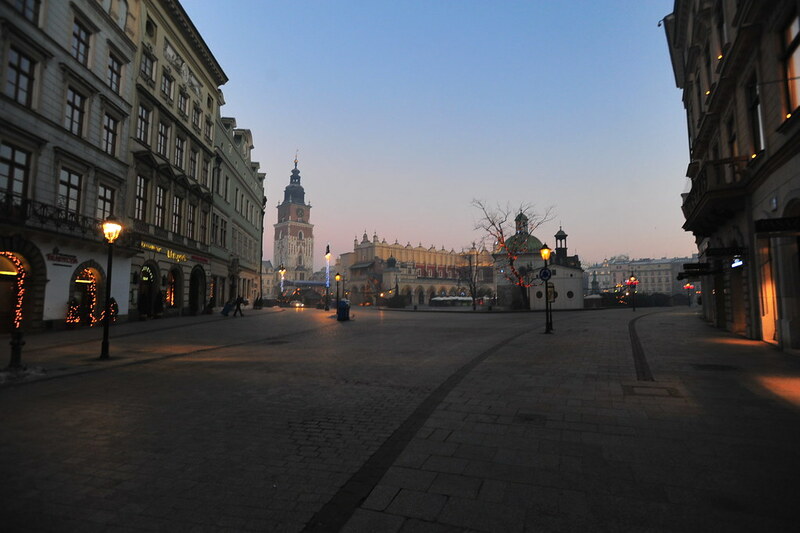 Dazed, but enjoying the lovely view, we took a bathroom break at the nearby Sheraton before taking a brisk 30min walk from our dropoff point through the city centre square — the largest medieval square in Europe — to the bus station for our buses to Auschwitz. 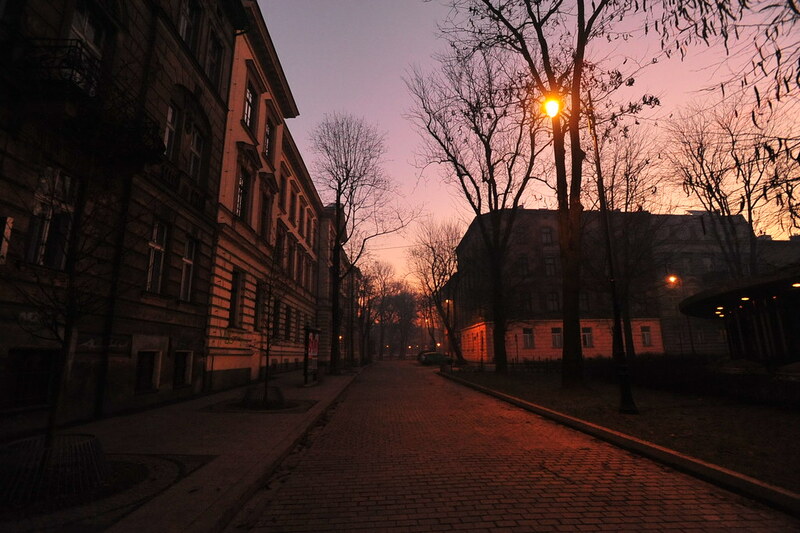 It’s one of the prettiest morning walks I’ve ever experienced. 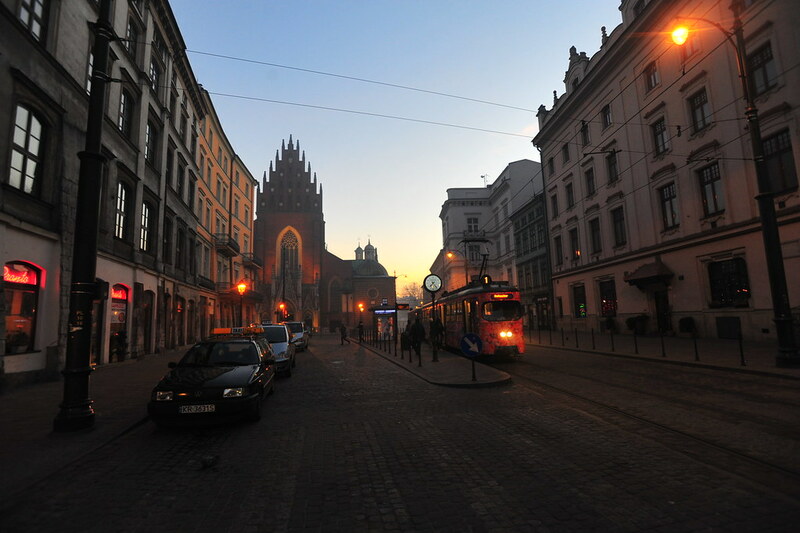 Then past the train station, we made it to the bus to Auschwitz.